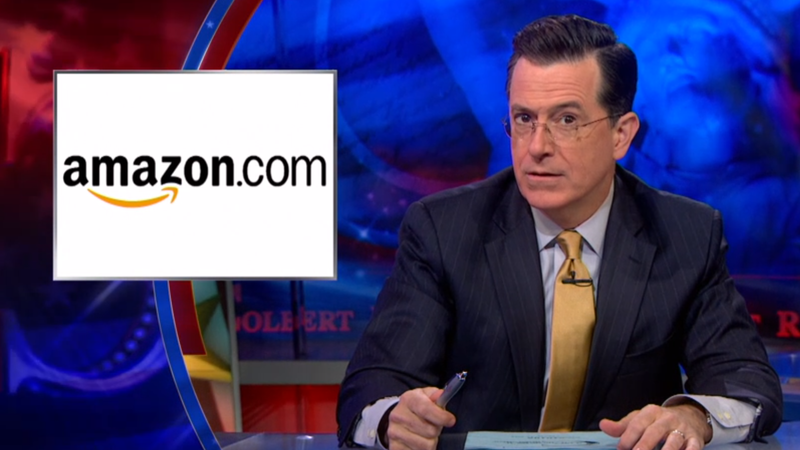 Confirmed by Colbert: Amazon does rip off authors! So let’s get this right, Amazon! What a joke!!! My award winning Flying Solo trilogy is in over twenty countries, but do you think I have ever seen a fraction of the sales through “expanded distribution” reporting? Hell no! Don’t get me started! Most recently, I have heard about Amazon’s fake book companies that “resell” your used book! That is why many Indie writers, including the authors recently signed with AgeView, have decided to circumvent the dragon. We use Amazon only for what we have to. Afterall, over 50% of all book sales are through Amazon, so one really doesn’t have much choice. But any other stuff, like expanded distribution, goes through Lightning Source (which is part of Ingram) for print and BookBaby for ebooks. Forget the KDP rip off. Another Amazon scam. So, thank you! Thank you! 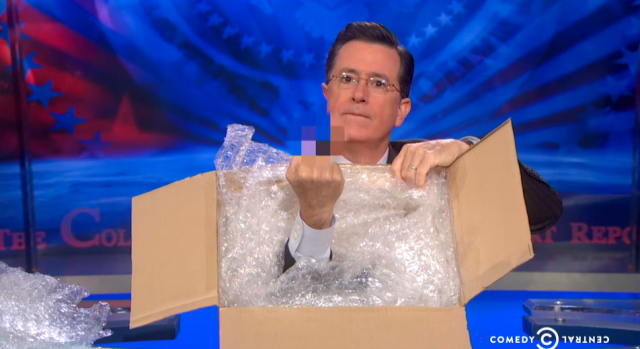 God bless you Stephen Colbert for posting your experiences and multiple disgruntlements with Amazon on TV to a very captive audience. Continue to shout about it from the roof tops. And when you are ready, contact us ! Our small coalition of Indie writers will band together for a class action lawsuit to take on the giant. Or at least tarnish them a little with mass media! Please reblog this story everywhere. Facebook it. Google plus it! And “link” it in! Maybe, just maybe the Associated Press or Oprah will pick up it. Add your email and comments to our list if this atrocity has happened to you. Because if you are an author, you know it has! 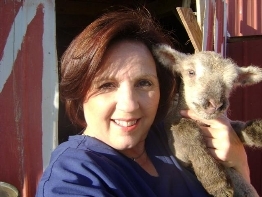 This entry was posted in Indie publishing and tagged #ripoff, AgeView Press, Amazon, Associated Press, Authors, BookBaby, createspace, Flying Solo, Indie authors, Indie Press, Indie publishing, Ingram, jeanette vaughan, Lightning Source, OWN, Stephen Colbert. I watched the whole Colbert video and never once does he say anything about incorrect sales reporting. It may well be true, but I’m reserving judgment until I see some proof. It’s pretty common for sales reporting on my KDP and Createspace books to be delayed, sometimes by as much as a month (this happens on my Amazon affiliate commissions all the time too), but in my experience the sales always show up eventually. Just because I have a screenshot of a ‘verified purchase’ made today and it doesn’t show up on my KDP report tomorrow doesn’t mean Amazon won’t count that sale. At least with KDP and Createspace, we have access to next-day sales reports instead of having to wait 6 months or longer to get a printout from a mainstream publisher, whose numbers we have NO way of verifying. Per Writer’s Digest royalty reports, my 2010 book The Indie Author Guide has yet to ‘earn out’ on its paltry $5k advance. I find that hard to believe, but there’s no way I can prove otherwise. That is understandable. I only reported one of his videos. But the proof is out there…all of us have it! Suit yourself, just be advised. claims to have made deposits, but they never arrived at my bank. I have filed a complaint with the BBB and am considering a class action suit. Any interested lawyers out there? I wish people could band together and do something about it. Get your copy of this hot new read today! What’s critical to read next? Margie Miklas’ debut novel! Just Enter your email address to follow this blog and receive notifications of new posts by email. Promise it will be worth it!